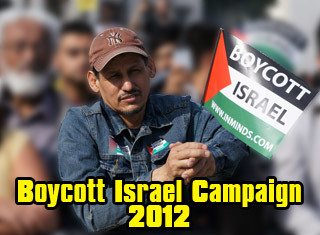 A group of anti-Israel protesters interrupted the opening of Paris' 10th annual Israeli film festival. On Tuesday night, about 30 pro-Palestinian protesters burst into the Paris theater hosting the opening to this year's annual Israeli film festival. Protesters handed out fliers on the street outside the Gaumont Opera Theater asking people to boycott the event and the "scandalous presence" of Israeli Culture and Sports Minister Limor Livnat, who inaugurated the festival. "We ask you not to show your approval of this event, under the guise of culture, which serves merely to comfort a crushing machine for the Palestinian people," the fliers said. Police quickly removed the protesters from within the theater, which was only open to invited guests Tuesday. 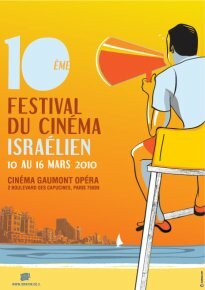 The film festival runs from March 10 to 16, and features many films never screened outside of Israel. Leaflet distributed at the Cinema Gaumont Opera during the arrival of the Israeli Minister of "culture" Limor Livnat, who came to inaugurate the Israeli film festival. We came tonight to the Gaumont Opera in Paris to denounce the scandalous presence of an Israeli cabinet minister, who is inaugurating an official "Israeli Film Festival. Limor Livnat, Minister of Culture and Sports in the government of Netanyahu, the most openly racist Israel has ever known, is fully representative of the band of murderers who kill, imprison and starve the Palestinian people . She includes amonst her achievements or projects, that of "teaching" Jewish children to be soldiers from kindergarten, and to prohibit the use of Arabic as a second official language. Because, she says , "Israel must be exclusively Jewish State". In terms of "culture", since that is now her official capacity, Livnat has announced the launch of legal proceedings against the Palestinian filmmaker Mohammed Bakri because he is guilty of exposing the massacres perpetrated by the Israeli army with his film "Jenin Jenin". Benefiting from the complicity of numerous governments, beginning with the French government of Sarkozy and Kouchner, Israeli leaders intend to continue to come parading with impunity, like tonight at the Gaumont Opera. But around the world, a vast movement of people protest, grouped under the acronym BDS (Boycott B, D Divestments and Sanctions for S) is taking hold. Already, following complaints of Palestinian victims of the massacre in Gaza, Israeli leaders, including former Minister Tzipi Livni, dare not set foot in the United Kingdom where they are within the scope of arrest warrants. This is not yet the case in France. But in the meantime, we ask that you do not support an event which, under the guise of culture, only serves to reinforce a machine to crush the Palestinian people. STOP THE STRANGULATION THE PALESTINIAN PEOPLE! SANCTIONS AGAINST THE WAR CRIMINALS! Uploaded by belkacem_93. 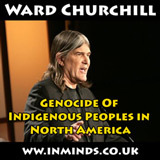 - Up-to-the minute news videos.